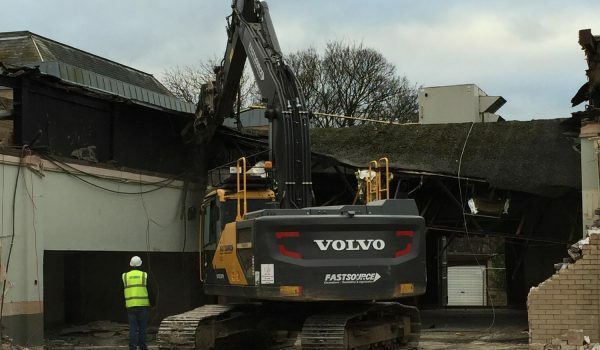 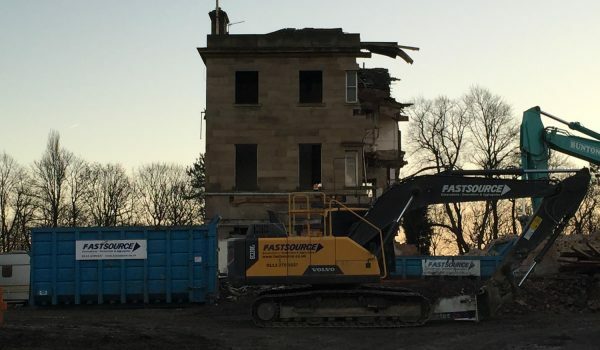 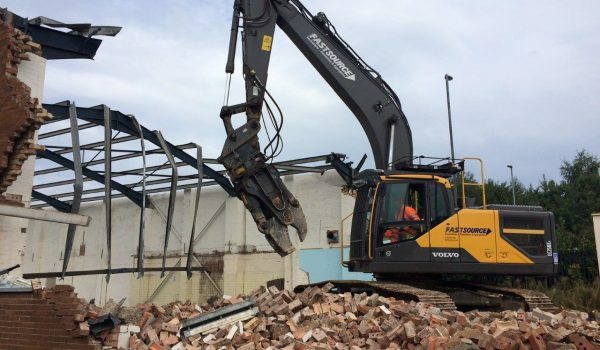 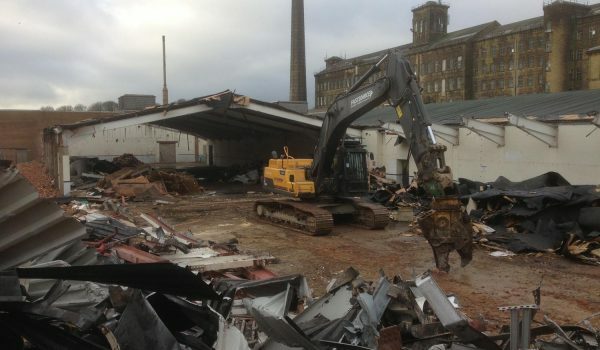 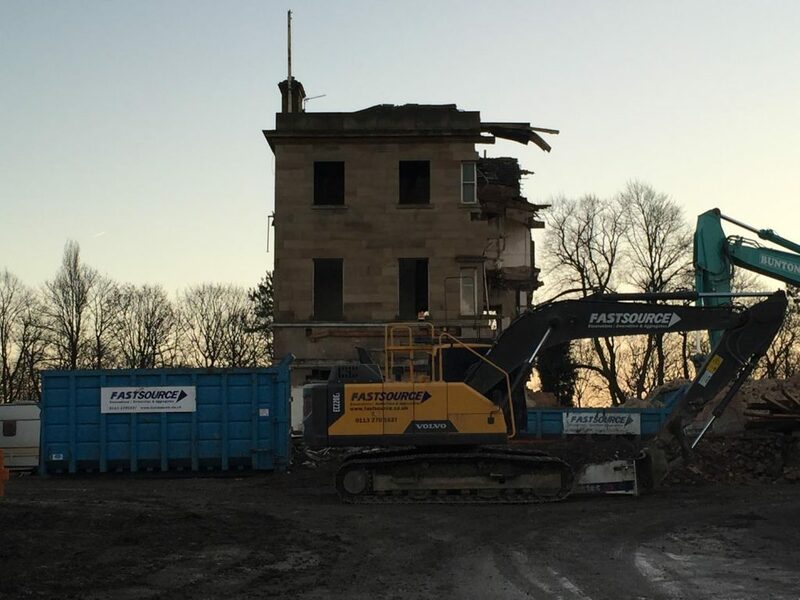 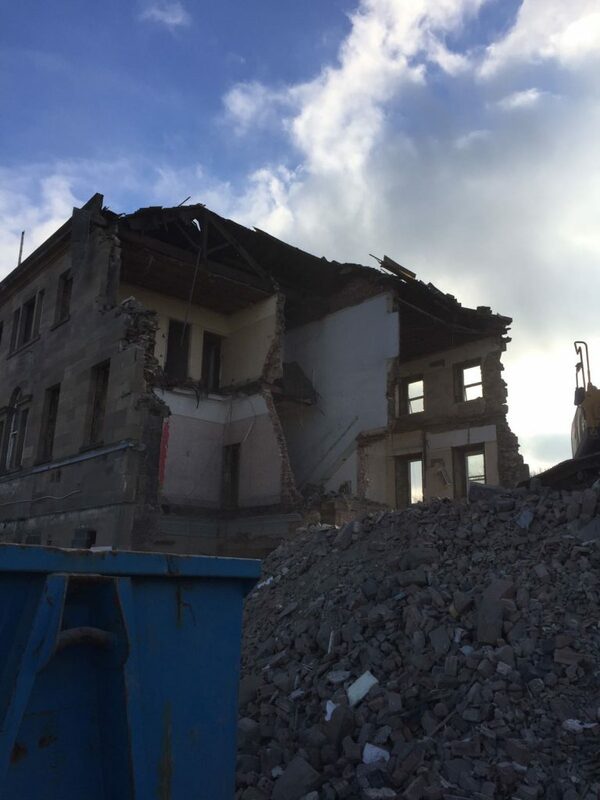 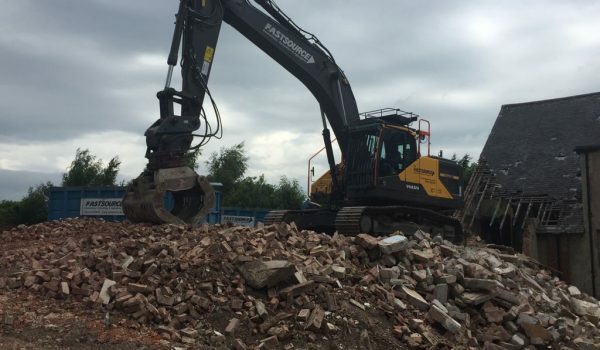 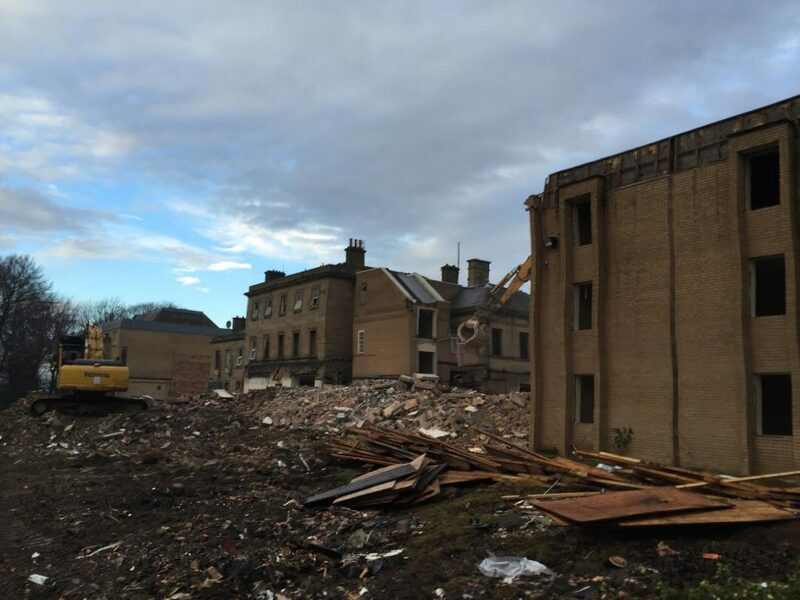 Based in Wakefield, Fastsource offers an extensive team of experienced and reliable demolition contractors – Yorkshire is our primary service area, but we also provide our comprehensive demolition services to clients across Lancashire and Humberside. 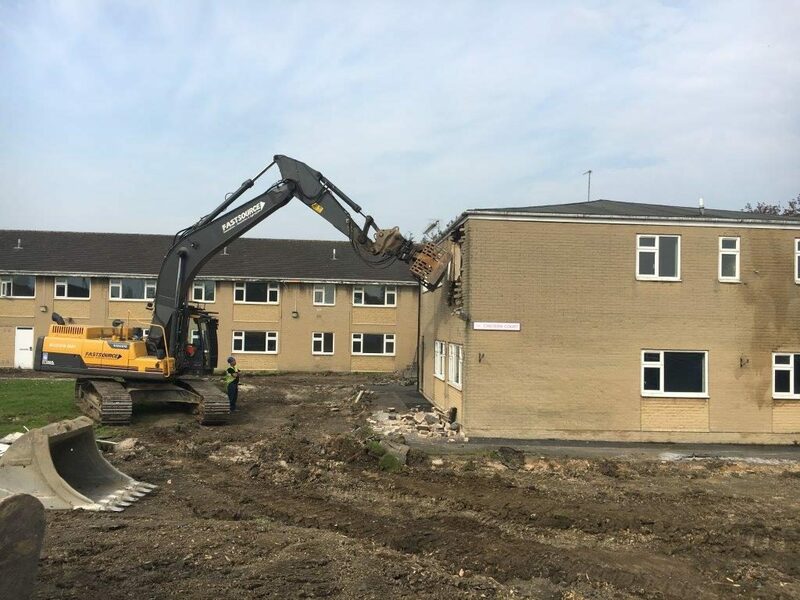 Our demolition services can be used for standalone requirements, or as part of our tailored enabling works packages, ensuring you get the right level of support for your needs. 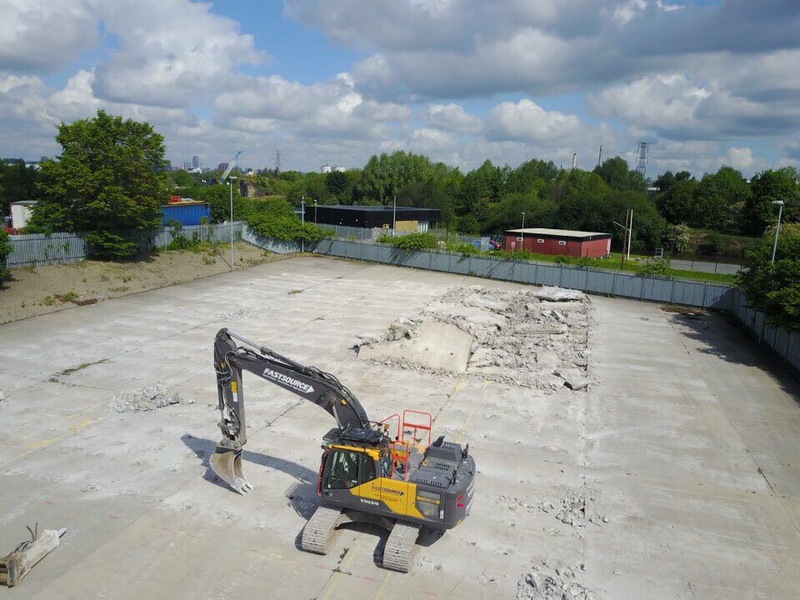 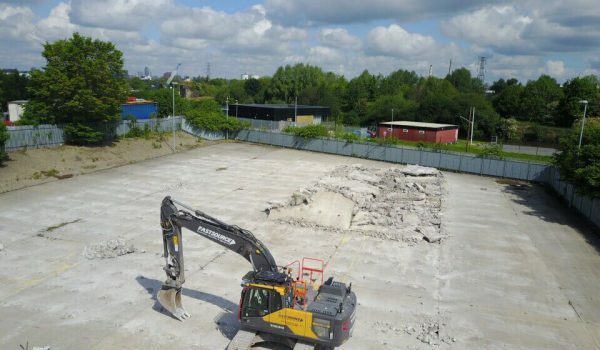 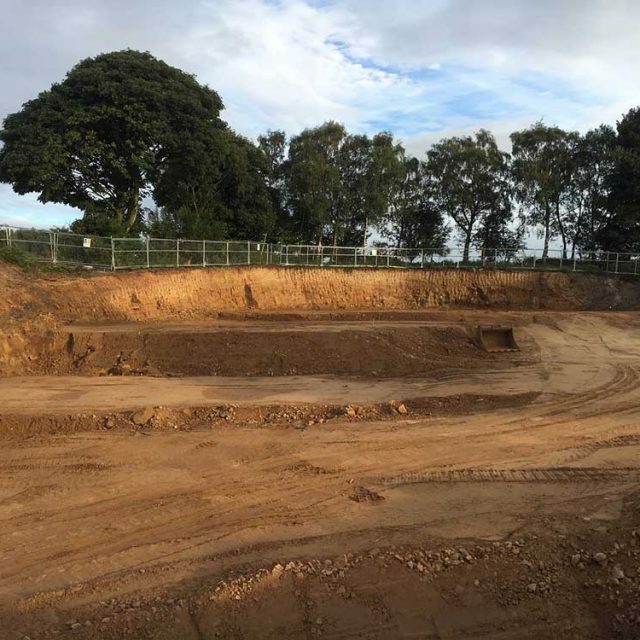 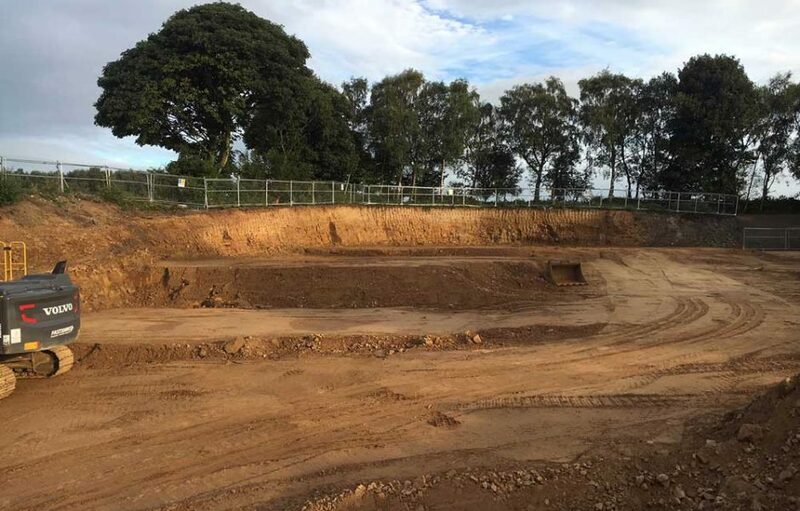 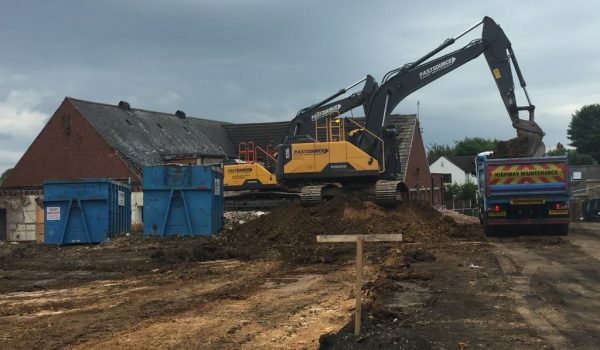 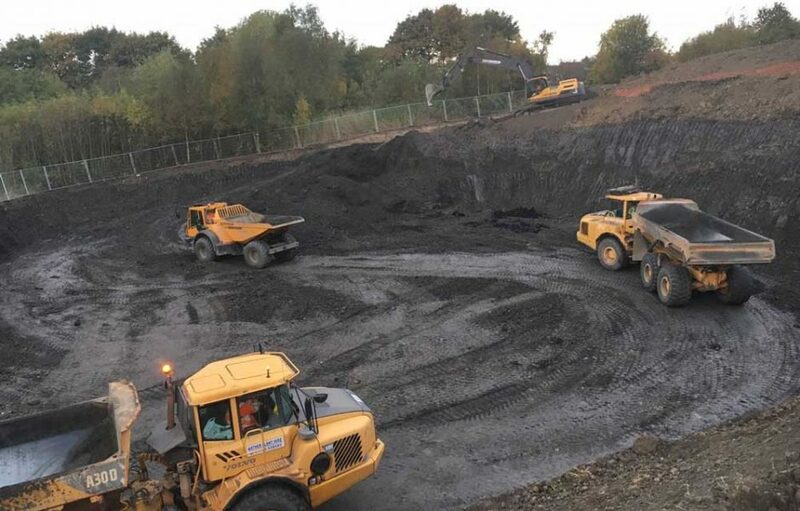 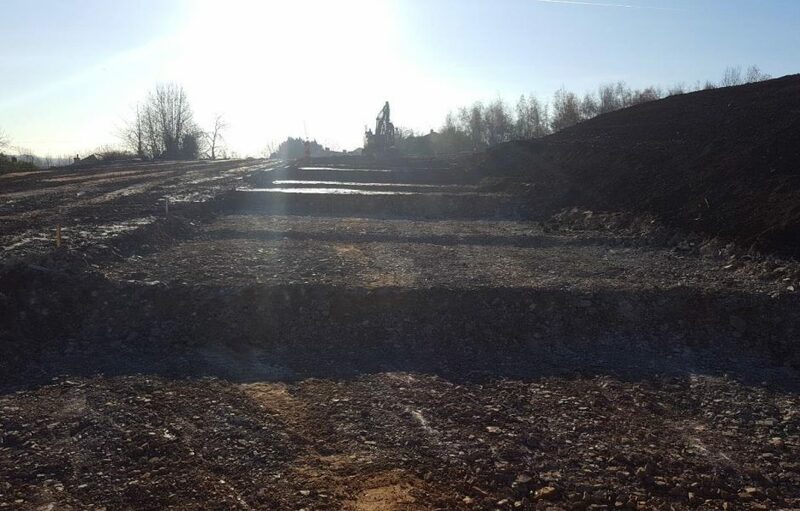 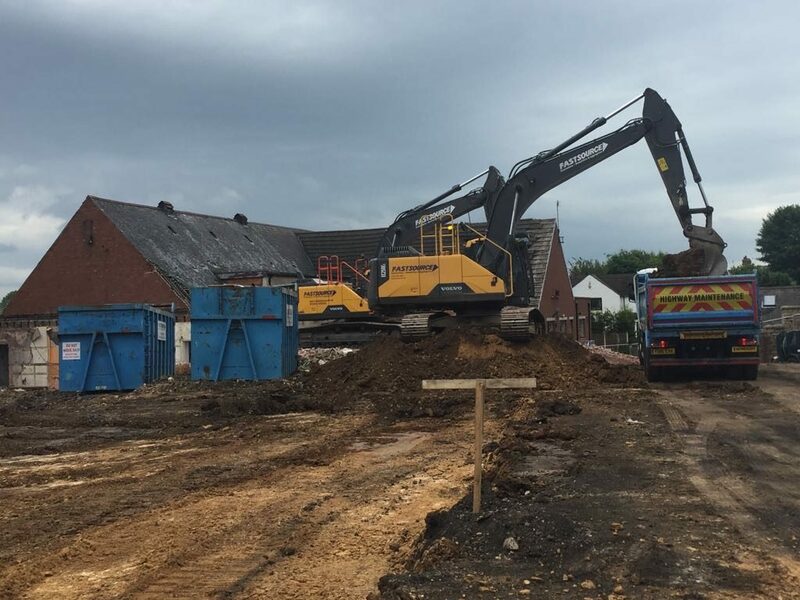 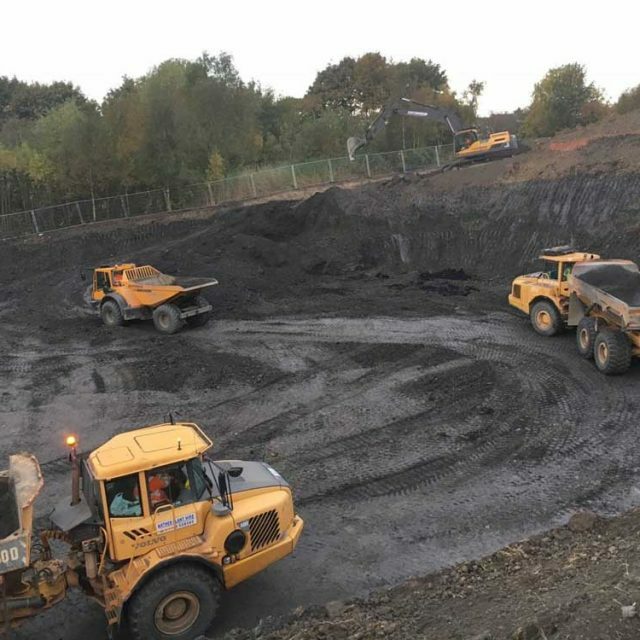 With decades of experience in demolition and dismantling, we’re here get your site ready for the next step in your development project – with seamless transition into excavation and land remediation for a consistent and efficient service from one trusted supplier. 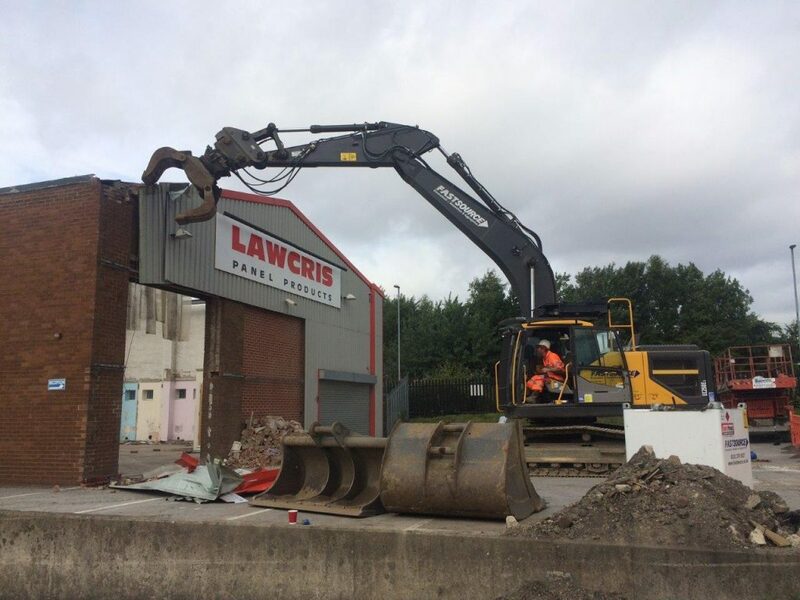 By providing a broad range of demolition services, we can help you to minimise costs and disruption to the project flow, ensuring you meet your budget, timescales and deadlines. 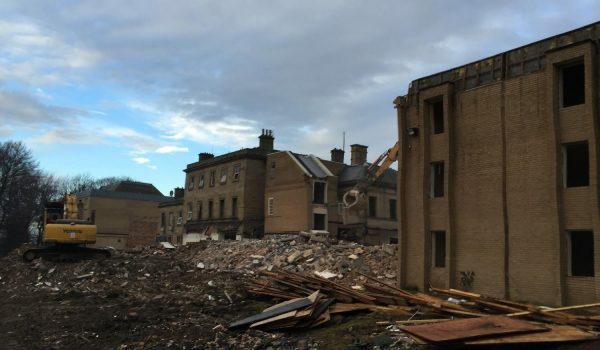 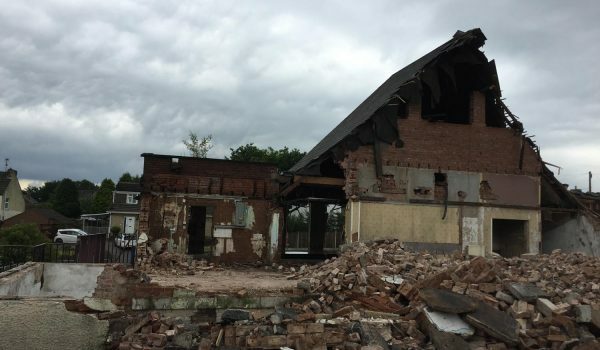 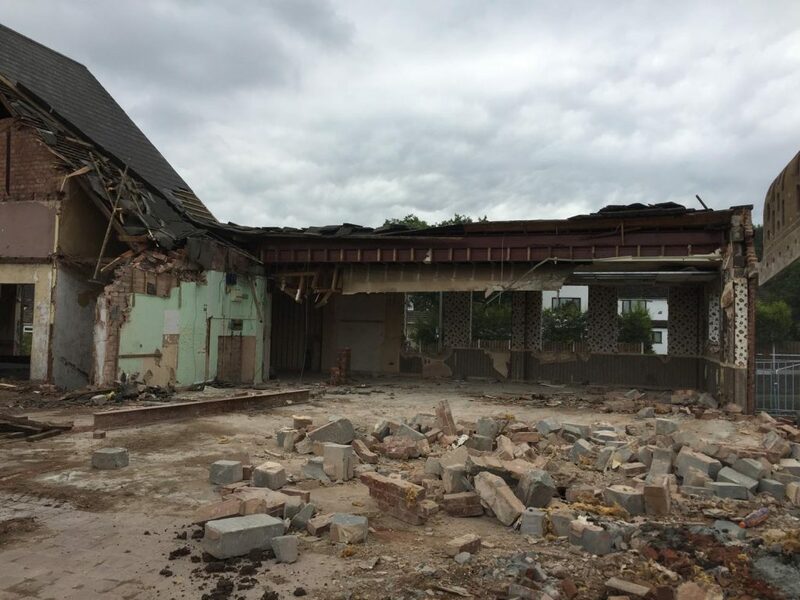 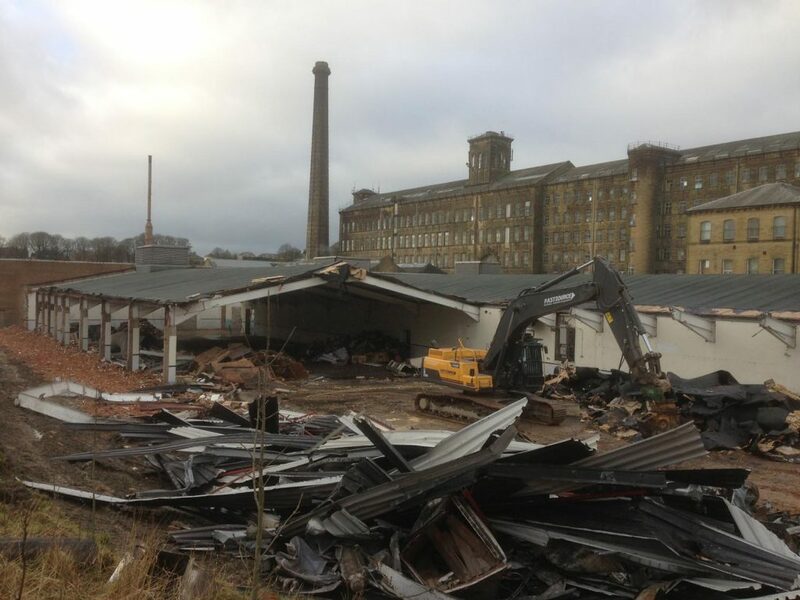 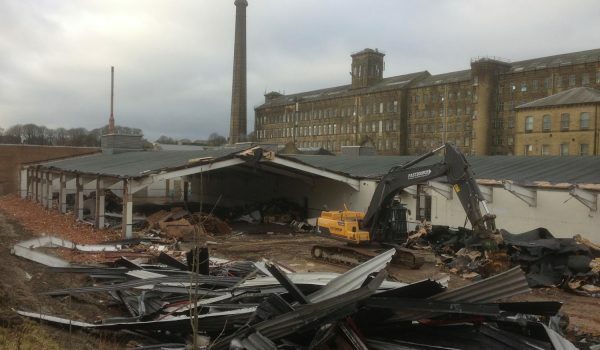 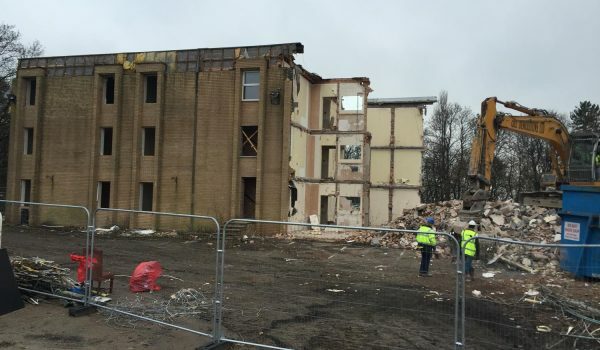 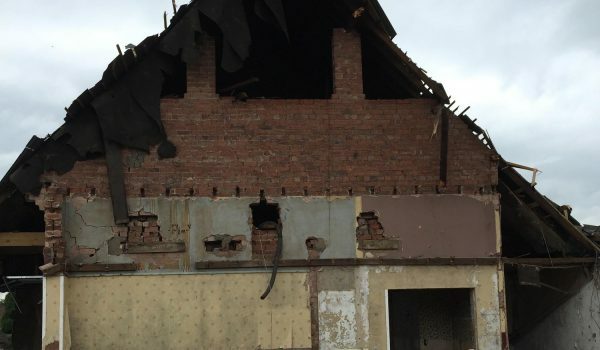 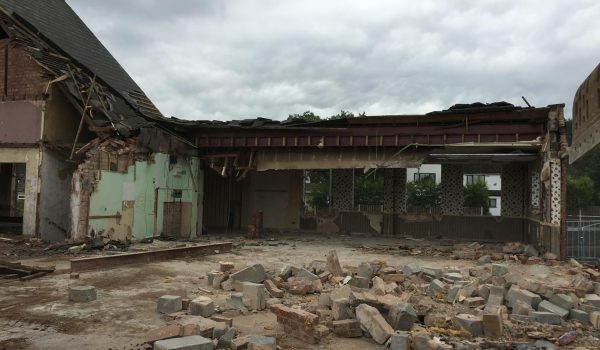 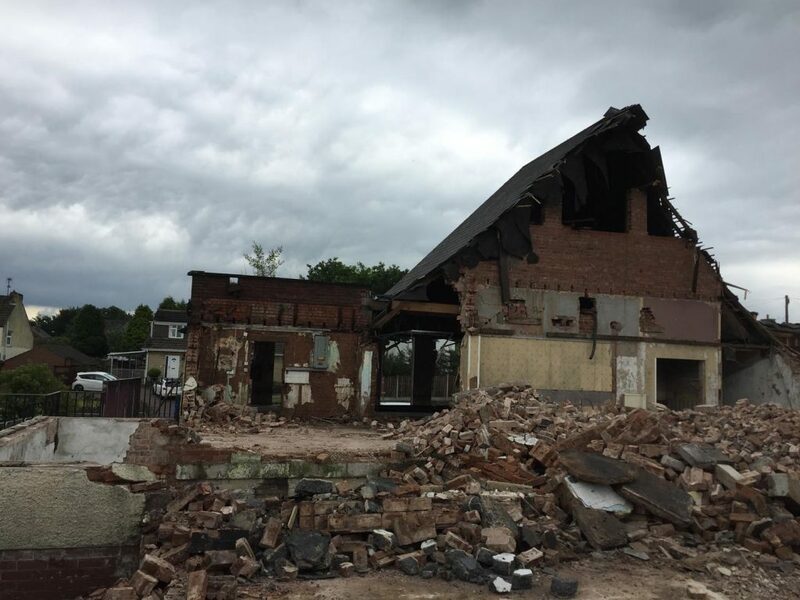 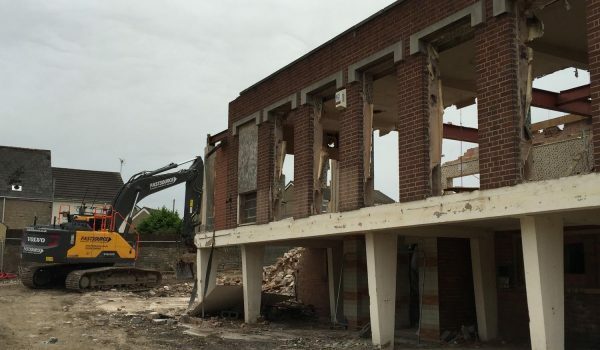 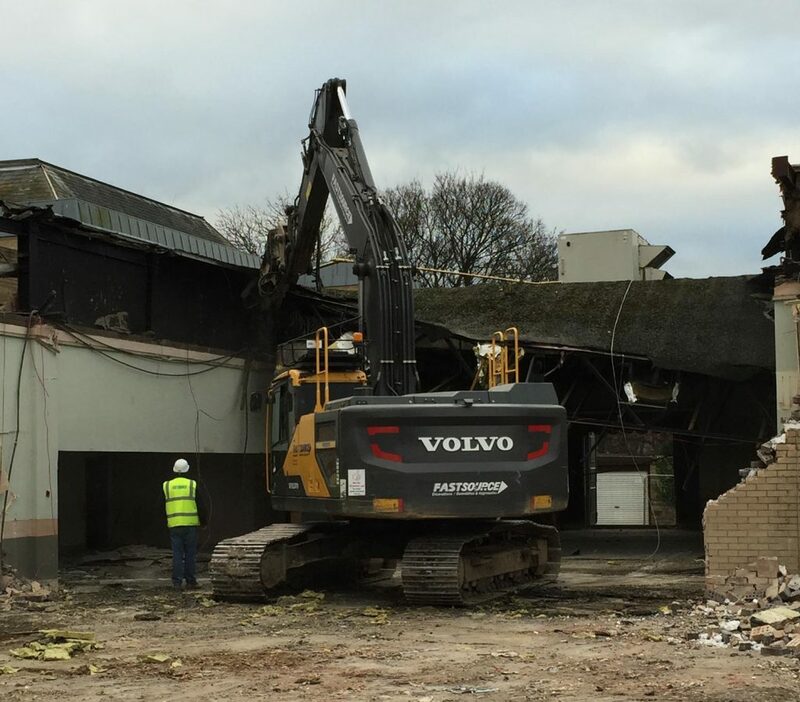 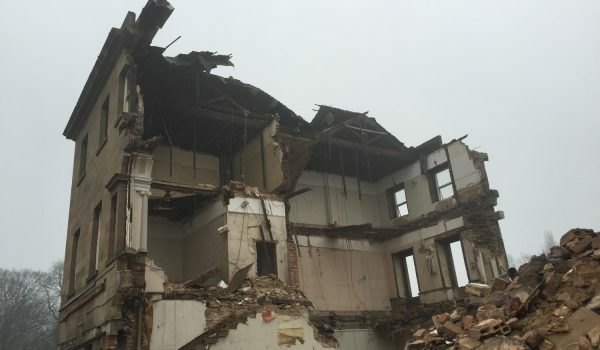 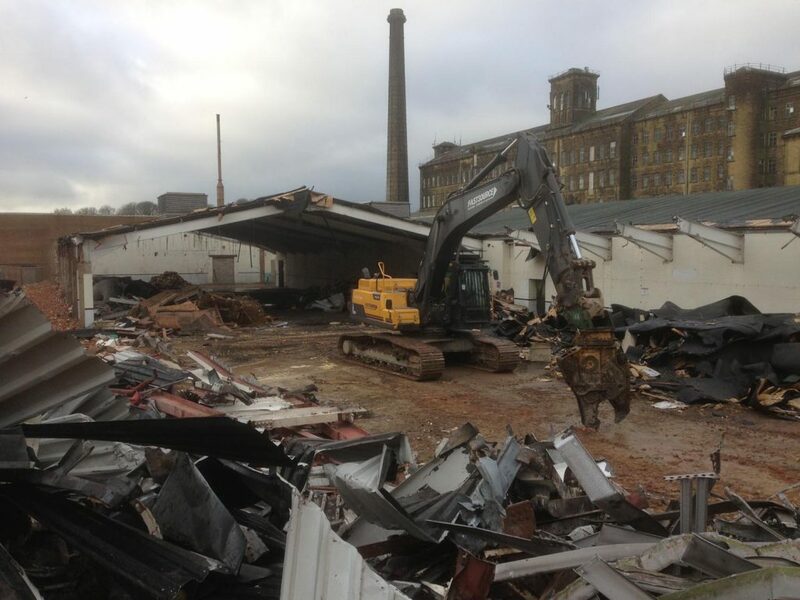 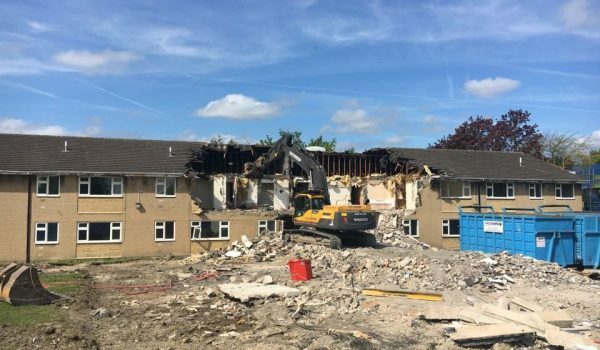 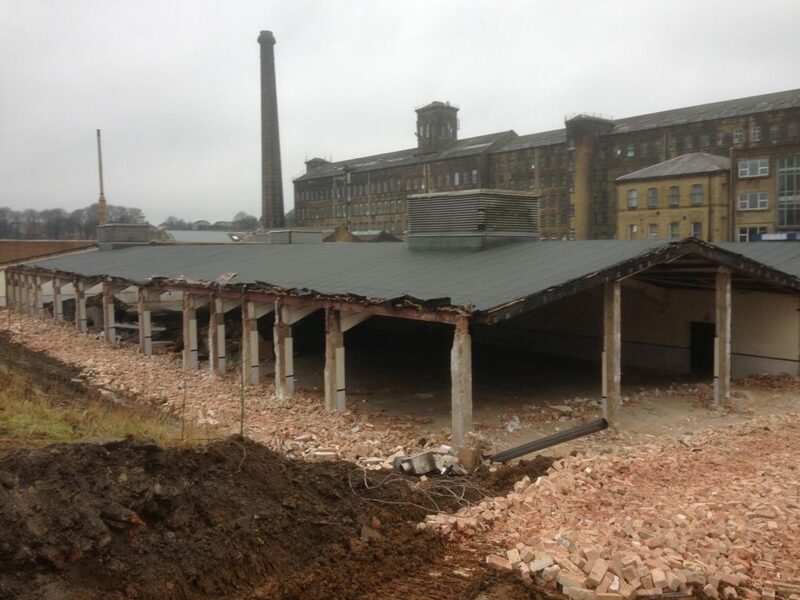 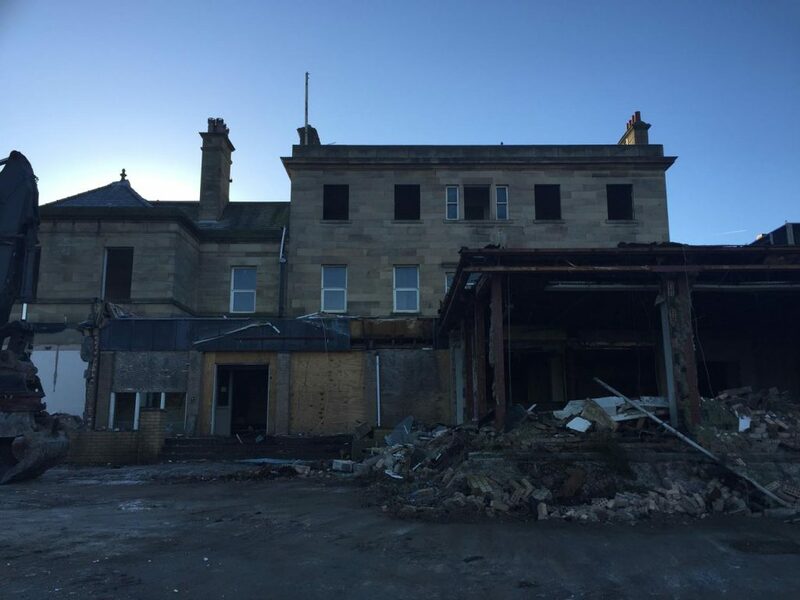 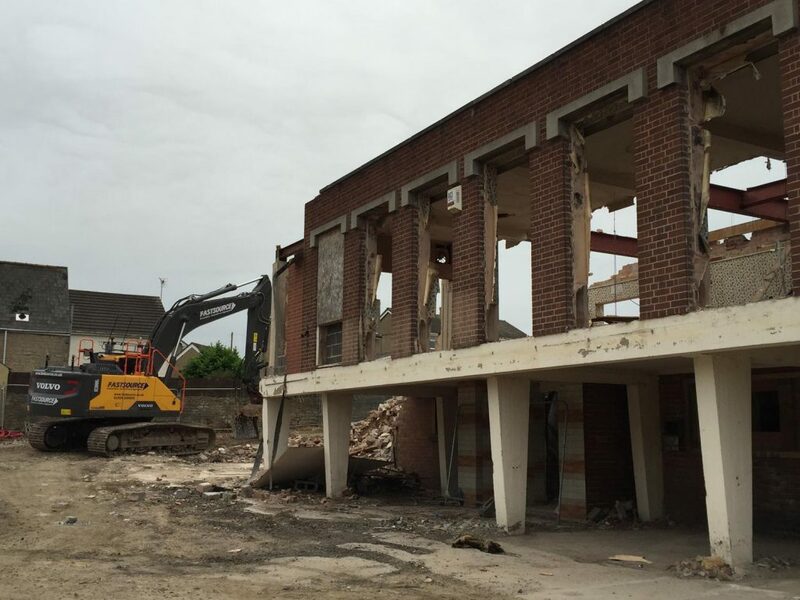 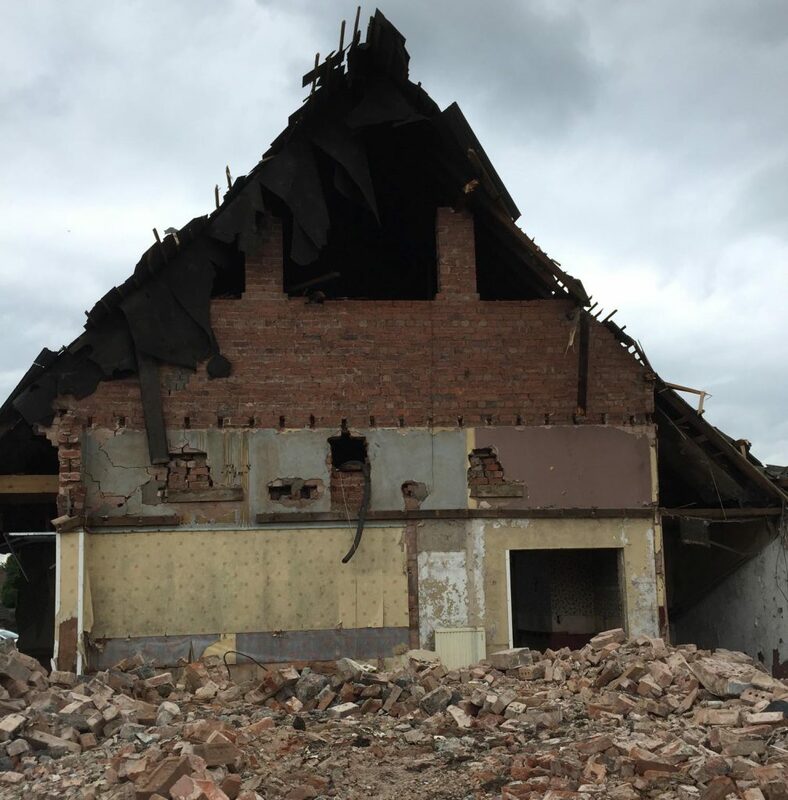 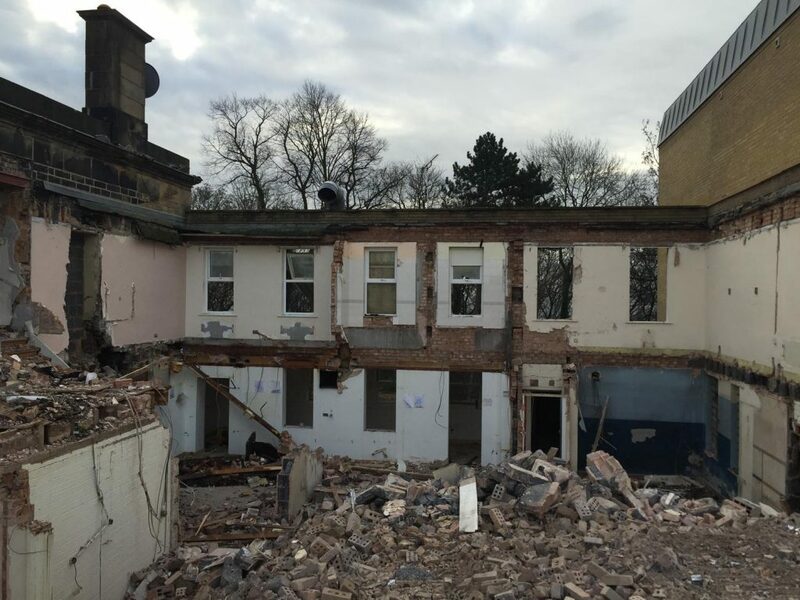 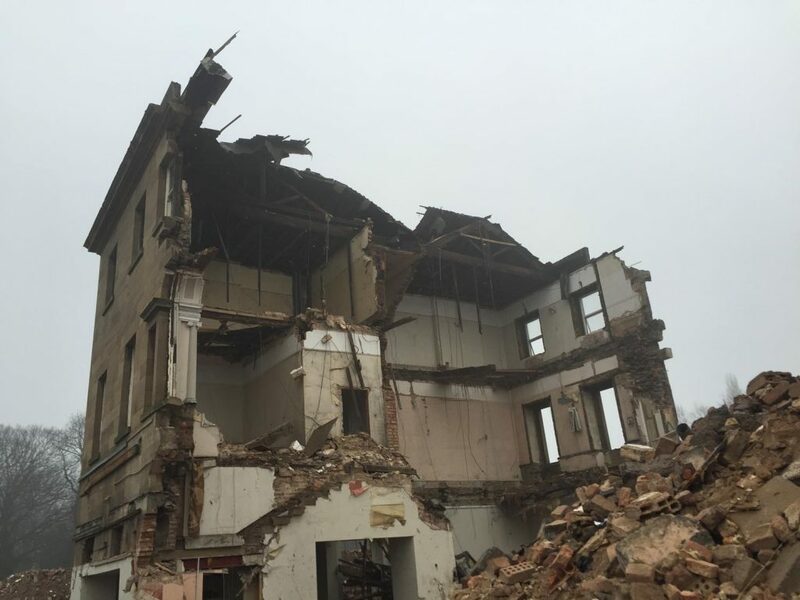 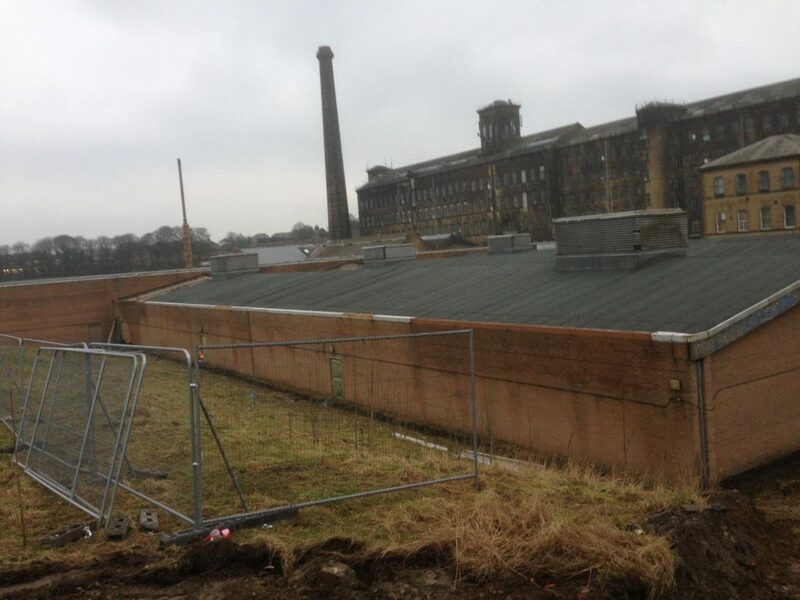 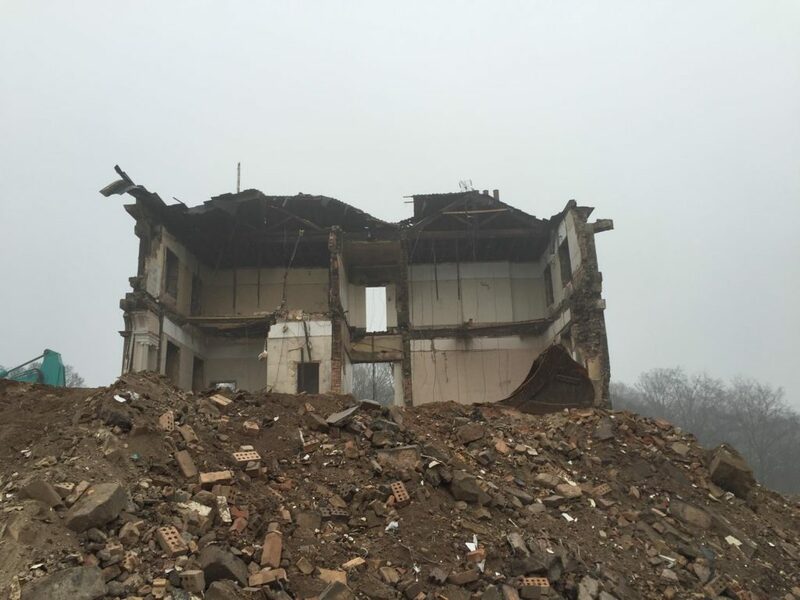 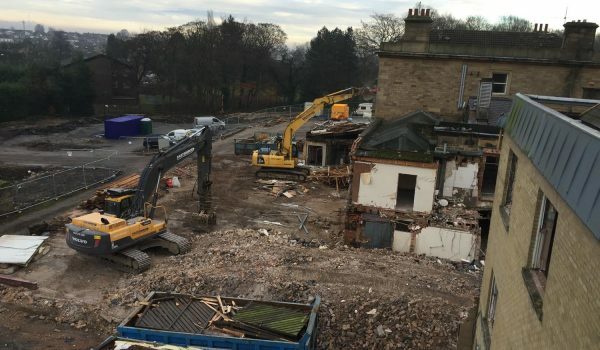 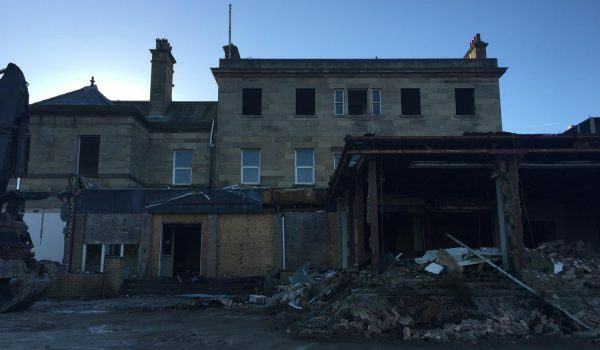 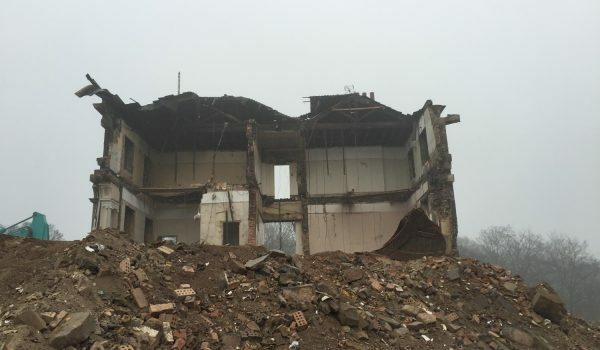 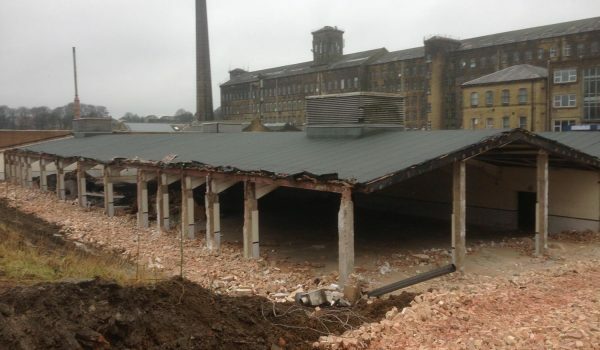 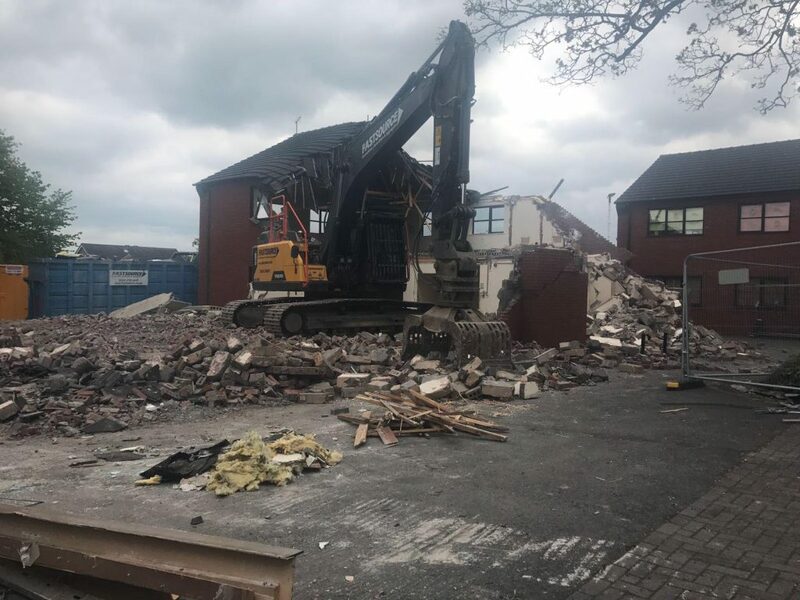 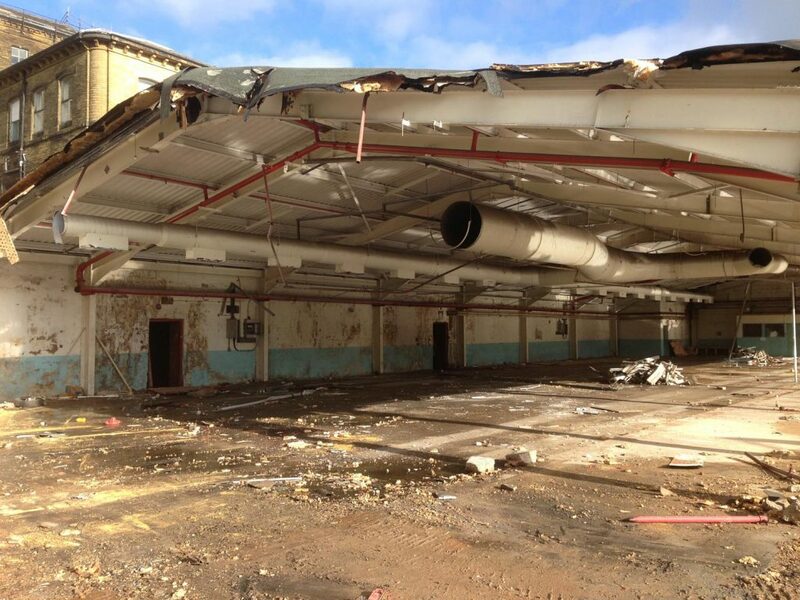 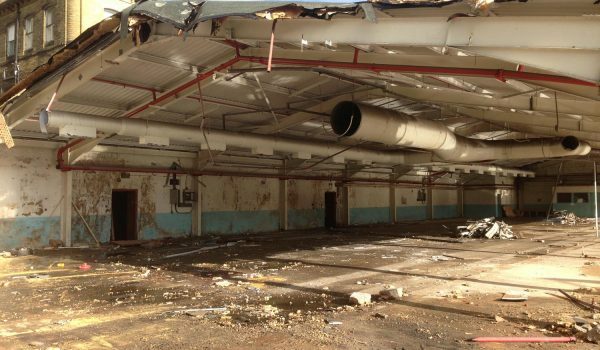 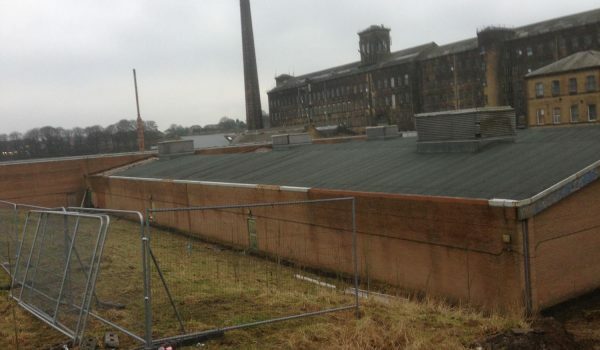 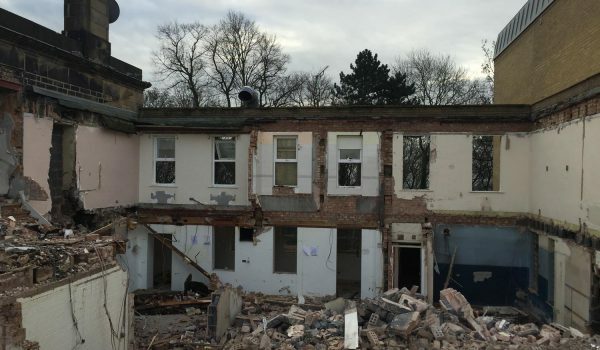 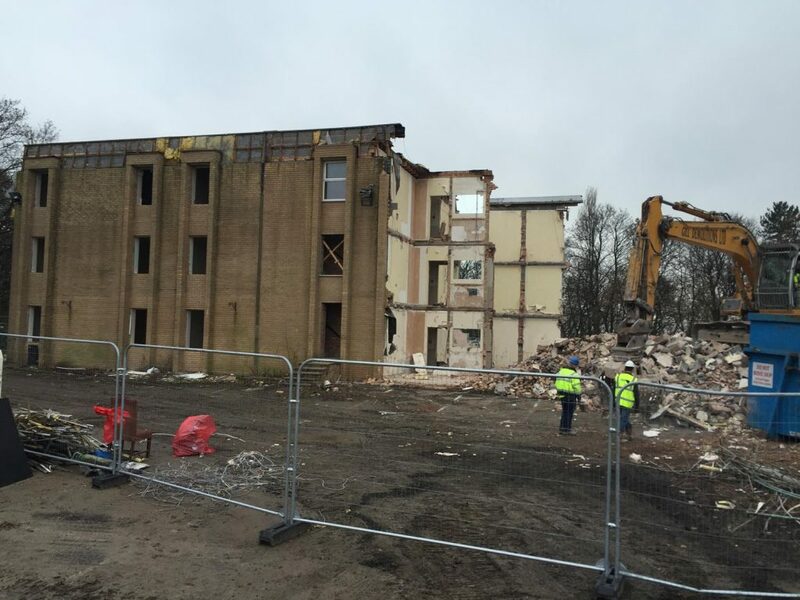 Our demolition services include full project planning, asbestos and hazardous material surveys and safe removal, decommissioning works and services disconnection, foundation removals and the controlled dismantling of buildings and unwanted structures. 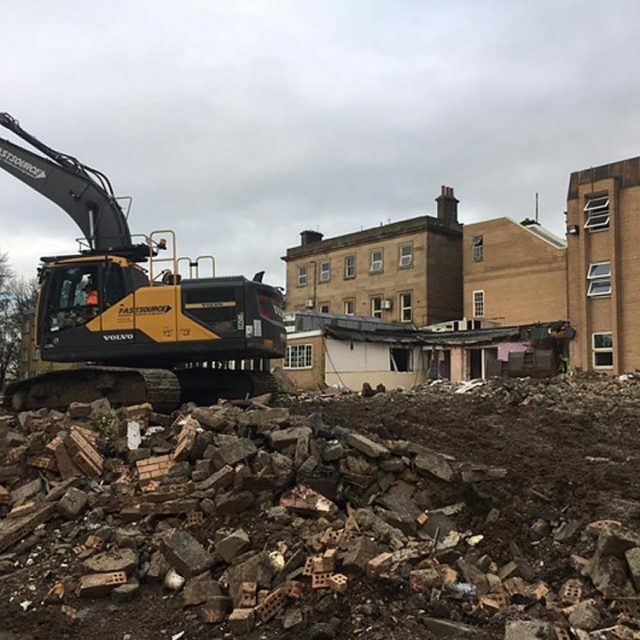 Every demolition project starts with a full site and risk assessment, in order for us to identify the best approach and provide a full breakdown of how and where we dispose of the demolition waste. 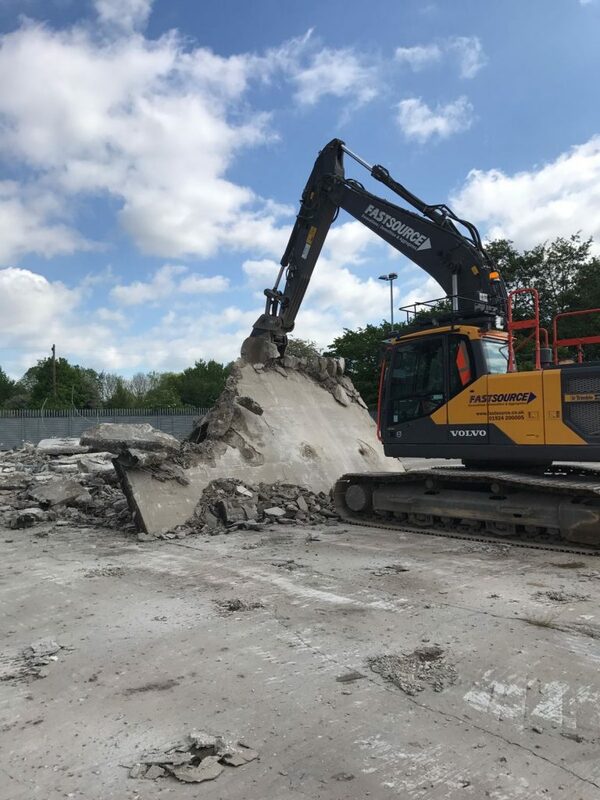 We recover and recycle as much material as possible, collecting, crushing and screening each component, and reselling as aggregate where appropriate. 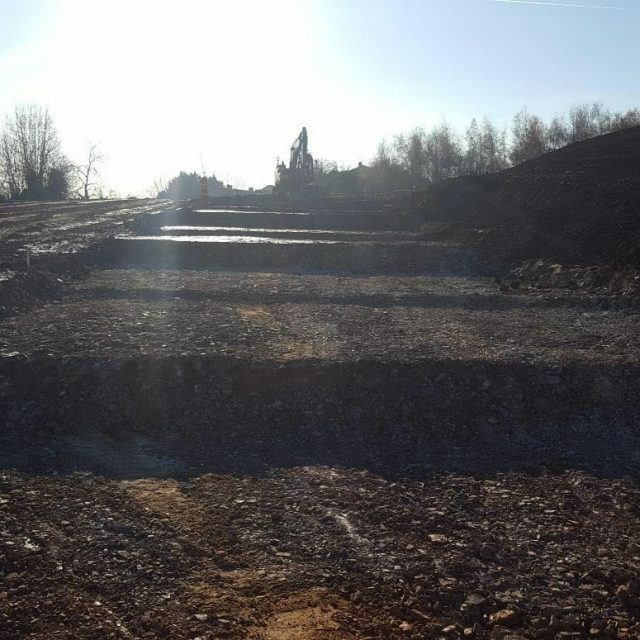 We work to all current legislative requirements and price all projects competitively. 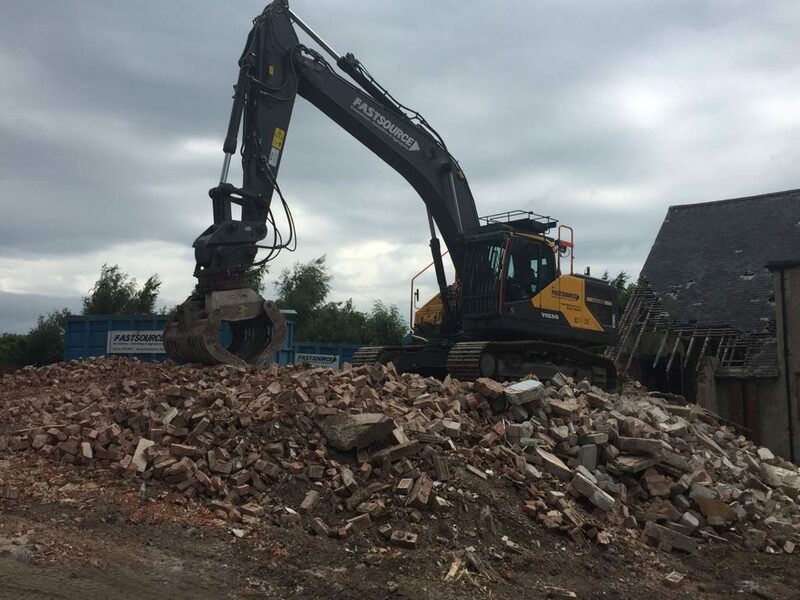 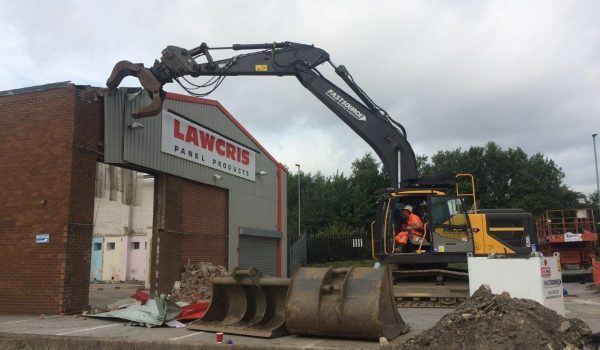 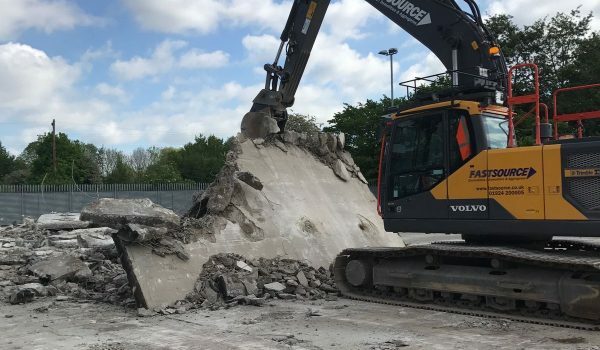 We don’t just invest heavily into our staff training and development, but we’ve also invested in high quality demolition and excavation machinery to ensure a smooth service. 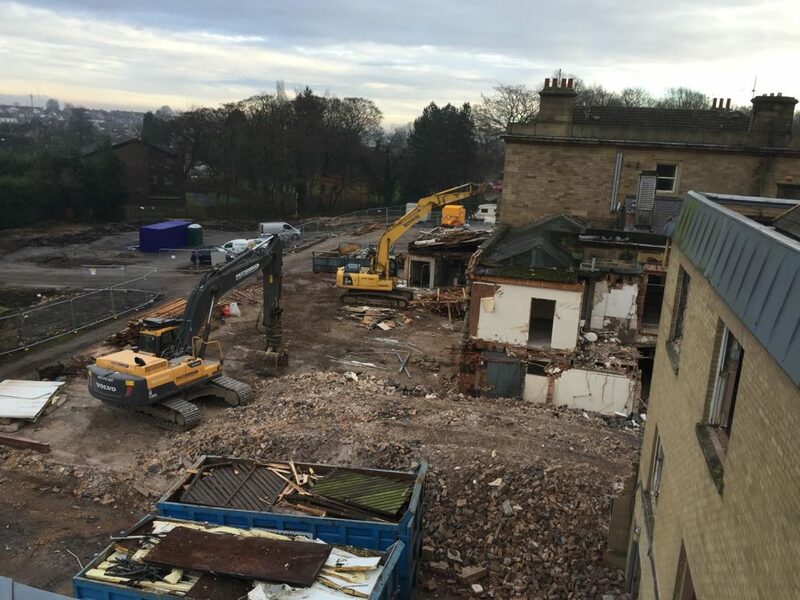 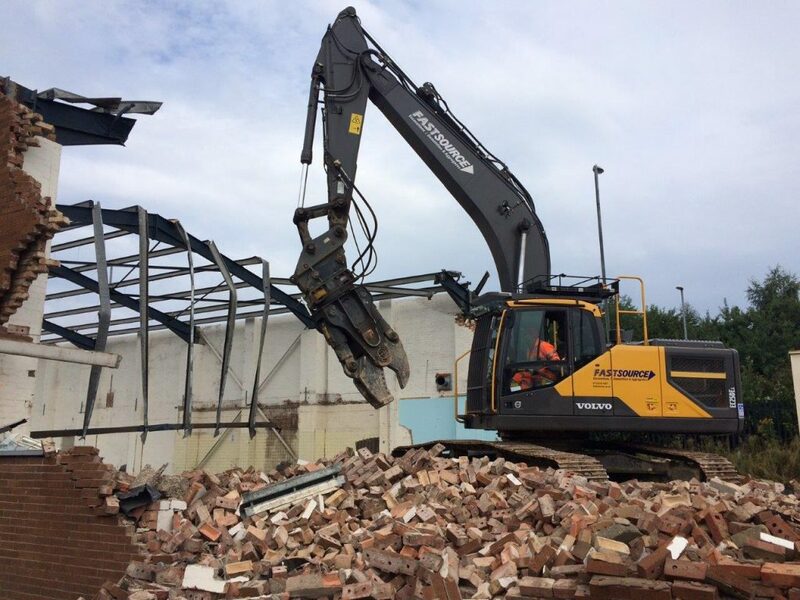 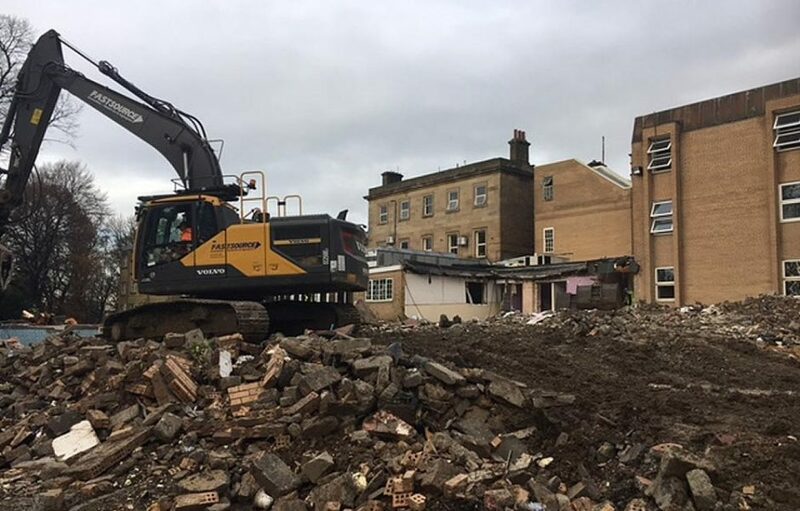 Manned by qualified operatives, our demolition fleet and equipment includes 25-36 tonne excavators, D6 LGP dozers, crushers, screeners and wheel loaders – our resources and knowledge mean we can tackle any demolition and remediation challenge, however complex. 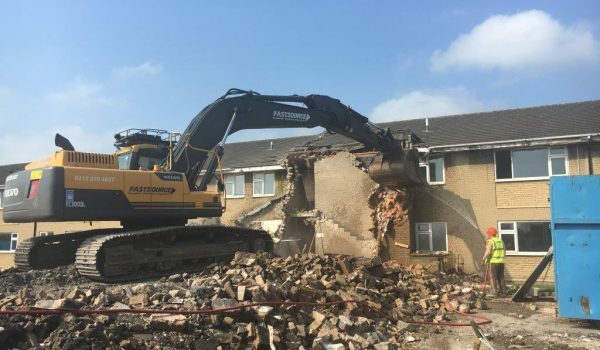 Our friendly and professional team of demolition contractors are always happy to listen to your development plans and offer tailored advice to help you prepare your site for construction. 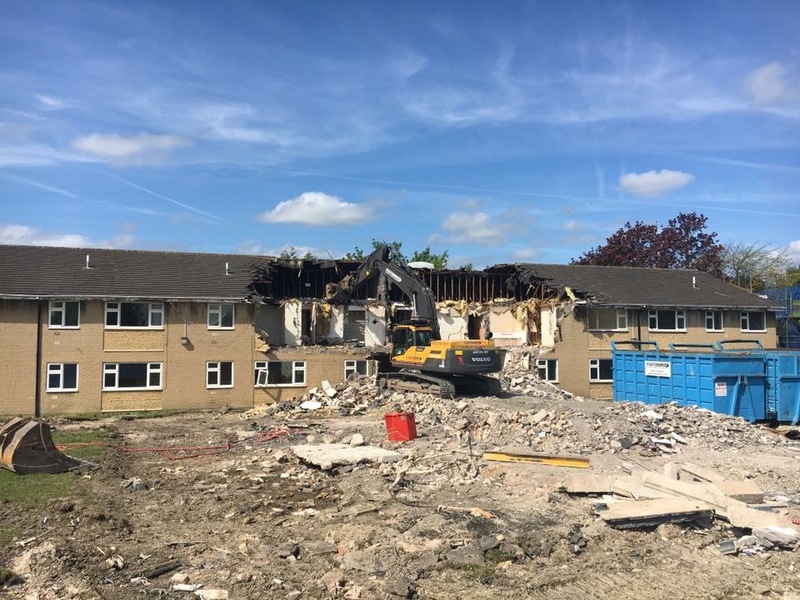 We work closely with you at every stage of the demolition process, finding the best value and most efficient approach for each individual project. 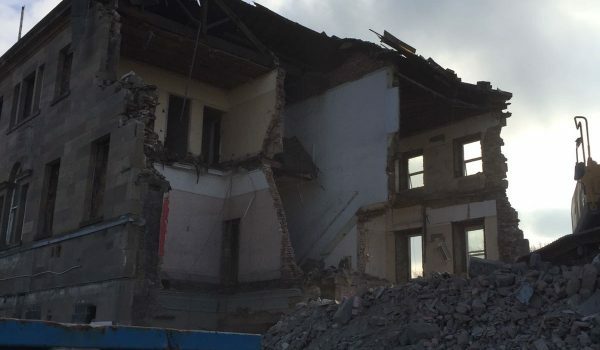 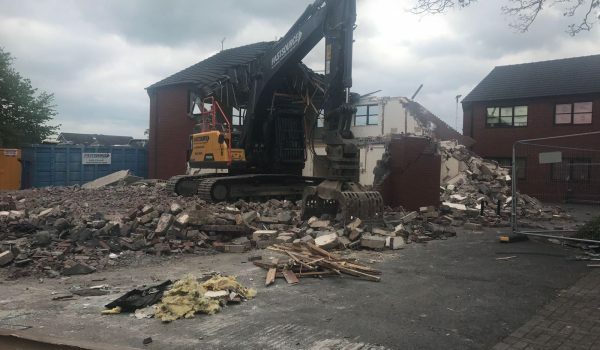 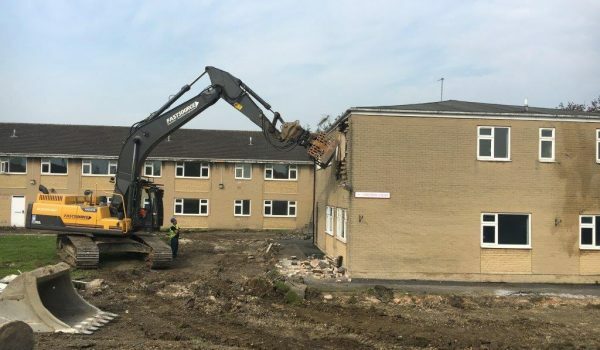 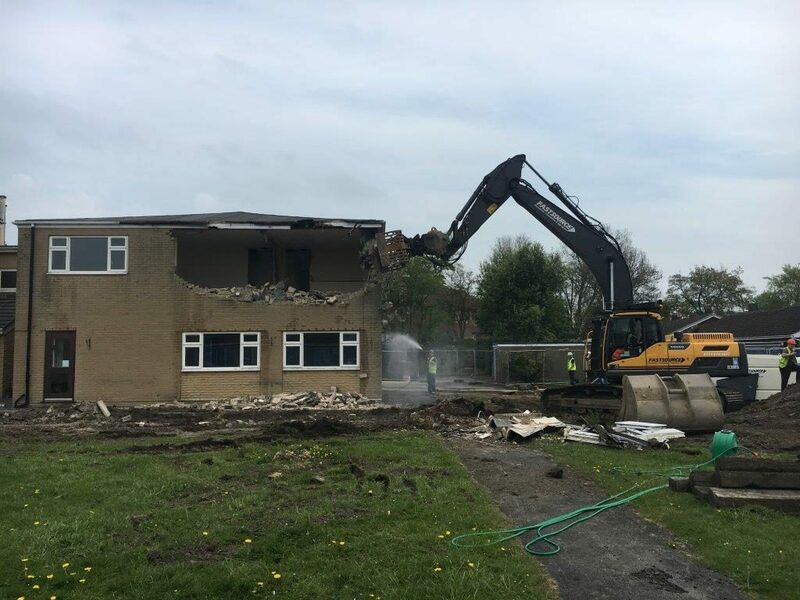 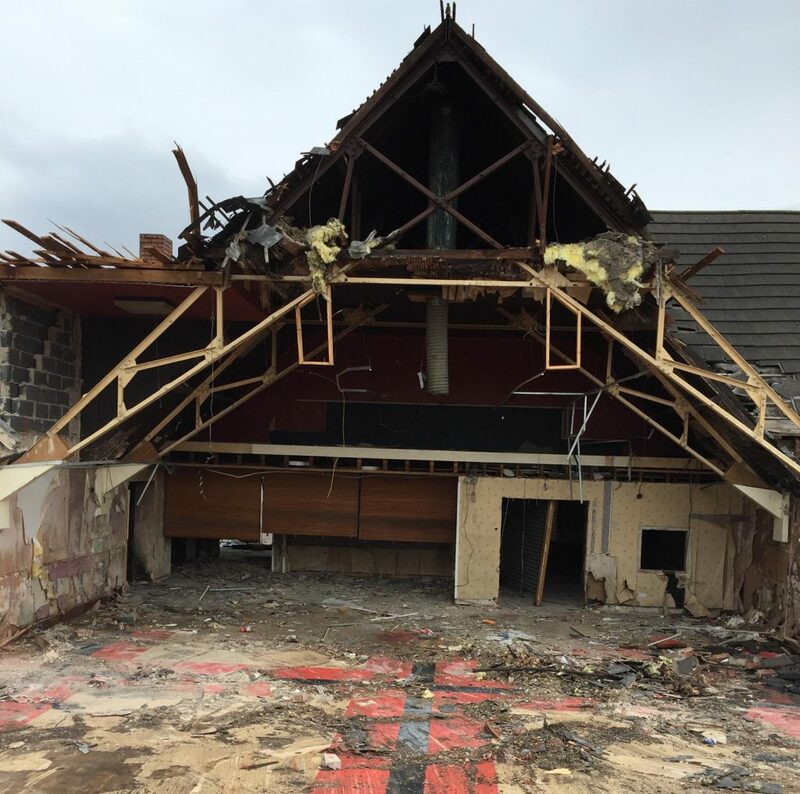 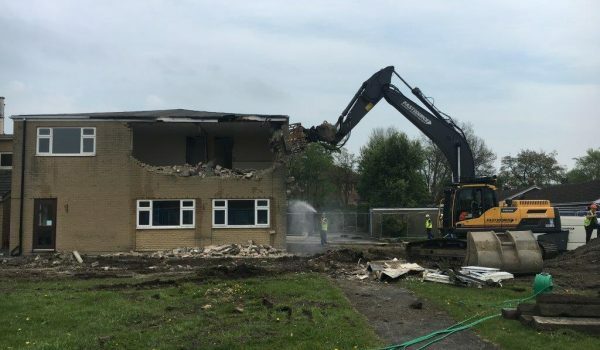 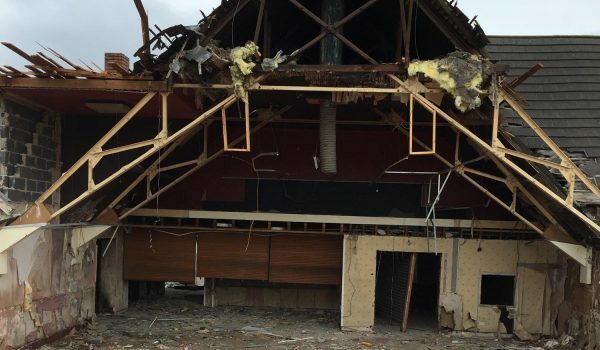 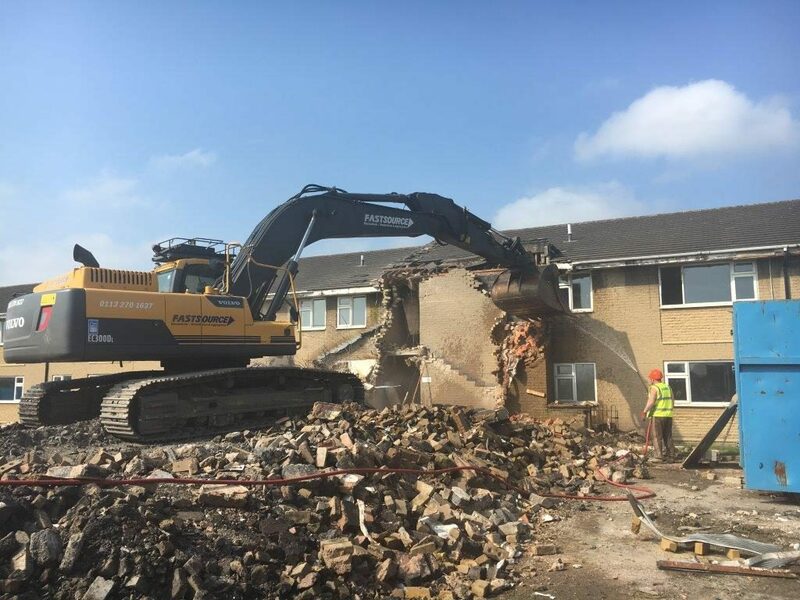 So if you’re looking for reputable demolition contractors in Yorkshire, Lancashire or Humberside and would like a no-obligation quote for our demolition services, please get in touch.